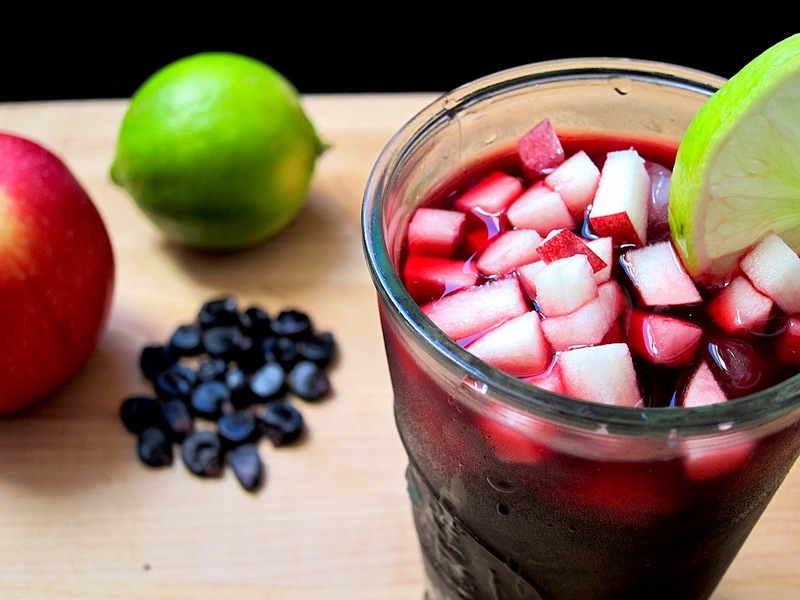 The first recipe to use the chicha morada base, is a chicha morada or purple corn drink. In the Andes of Peru, chicha is sometimes fermented to make an alcoholic beverage but this version does not contain any alcohol. Instead, it can be made on the spot and served as a refreshment. As long as you’ve made the base ahead of time, all you need is some limes, sugar, apples and ice. Perfect for any social occasion, this ancient Inca drink made with purple corn has a terroir and flavor as unique and earthy as its deep purple color. Pour the chicha base into a tall glass, stir in the lime juice and simple syrup. Add some ice and garnish with diced apple and a lime round.